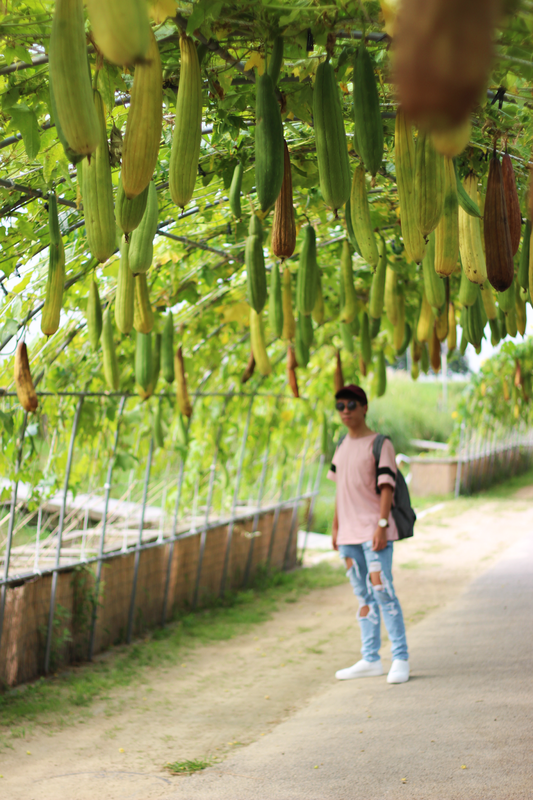 I've been travelling a lot lately (Bangkok, Seoul, Osaka, Kyoto) and I really enjoyed it! Well, actually I went to these places with different people (Sisters & Cousins for Bangkok, friends for Seoul, parents for Seoul). So I went to Seoul with my best friends from High School. We actually discussed graduation trip for a very long time but it never happened. Finally, our trip came to reality! I have to say this trip is definitely spontaneous. We only talked about this two weeks before the trip (ALL THE FLIGHTS/HOTELS were booked a week before the trip!). This is my first time ever travelling with my friends. I learnt a lot from this trip. You can even get to know your friends a little bit more. The whole trip is only four days only but it's definitely enough if you only go to Seoul. 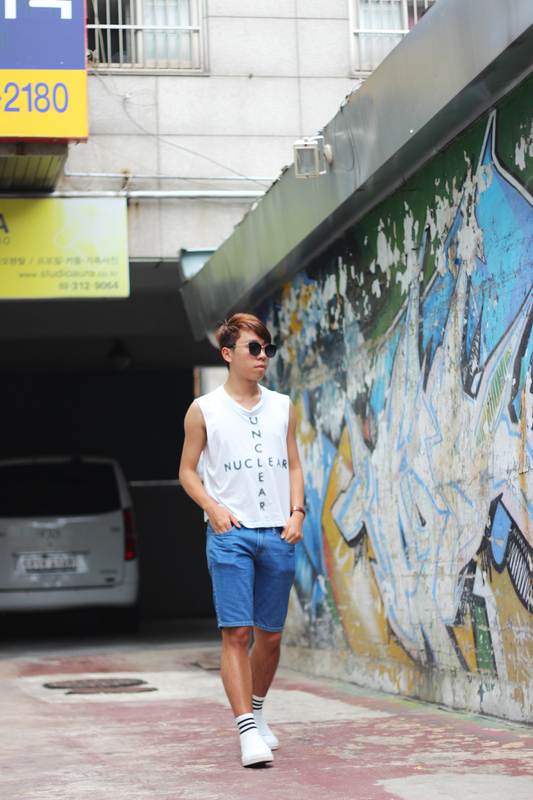 Because Seoul is all about SHOPPING! SHOPPING! SHOPPING! 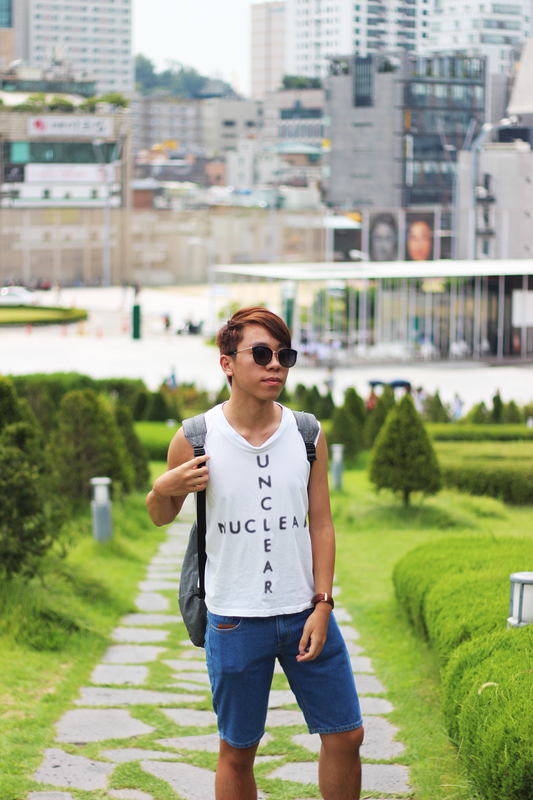 If you don't like shopping, you shouldn't go to Seoul! There's only a few tourist attractions you can go. Most of these spots you can only spend a few hours because TBH there's not much things you can see! But you have to go there since all the stuffs there are much cheaper than Hong Kong. I'm talking about the food, clothing, etc. Of course they're more expensive than the stuffs in Bangkok. This post is not just chit-chat. I'm going to share everything related to the whole trip. I'll be giving rating too! But before that, I recommend you guys to stay in the Hotel in Dongdaemun. Because when we take the subway to the places we want, most likely we need to pass through Dongdaemum. Anyway here's what I did/where I went on the whole trip! 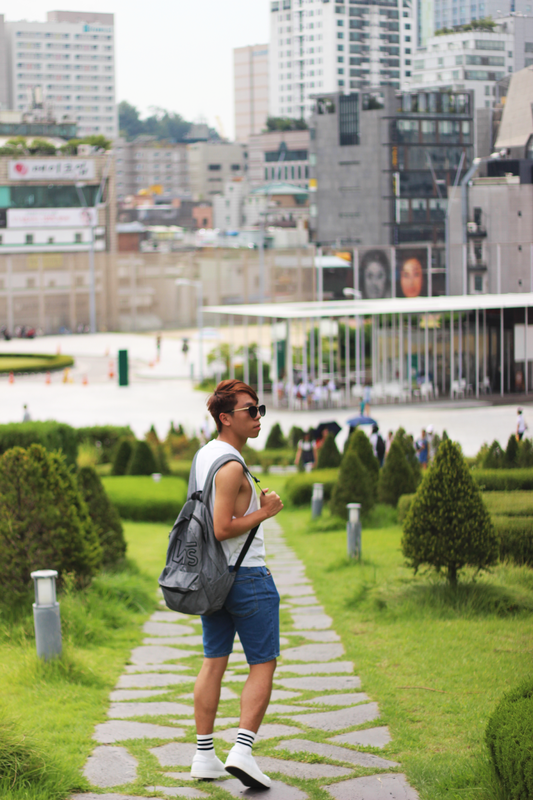 This is a must-go places of all time in Seoul! Since it's not that famous(most of the travel guide books didn't include it), you definitely need to go! 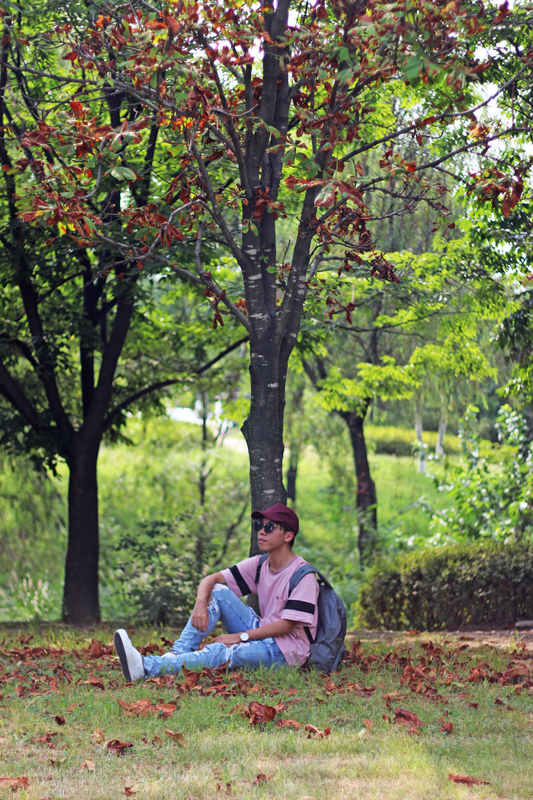 It's a great place for shooting and relaxing. However, you need to take several stairs in order to get there! I have to say it's definitely a huge challenge for people who don't do exercise regularly (even if it's only just for 5-10mins!). But it's going to be worth it! The view is so beautiful as you can tell from the photos! 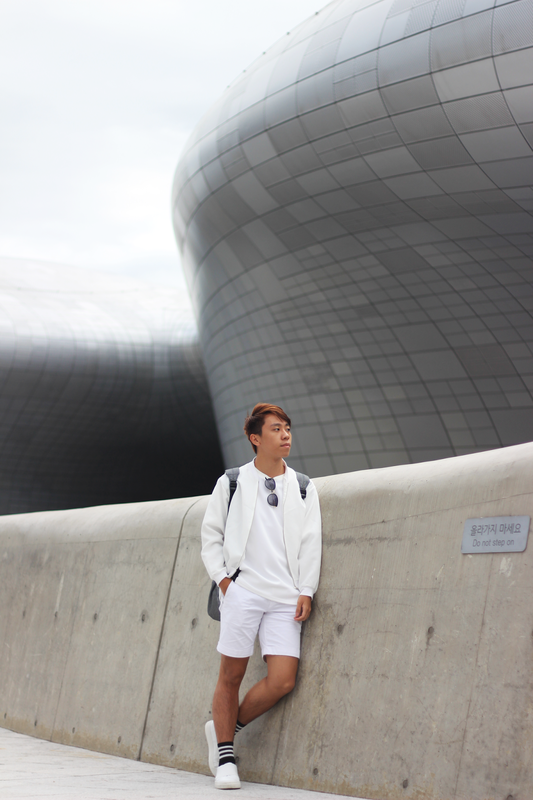 I'll recommend people only spend a few hours on Dongdaemun only! Apart from taking pictures on DDP, there's not much things you can do! 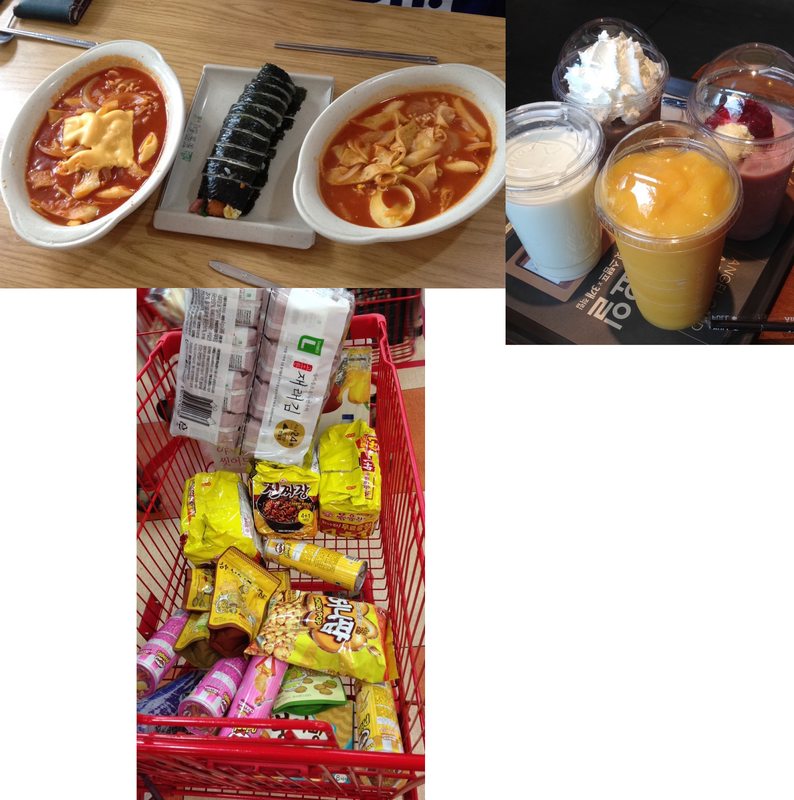 Most of the things that are sold on the shopping malls in Dongdaemun are quite expensive! The point is you can't buy much things there unless you're businessmen (Some of the shopping malls are for wholesale purposes). The biggest advantages of the shopping malls in Dongdaemun are that they open overnight! But I only walk around with my friends without buying anything there! Sorry to say this but I don't really suggest people to go to N Seoul Tower. Because the view is not that spectacular! 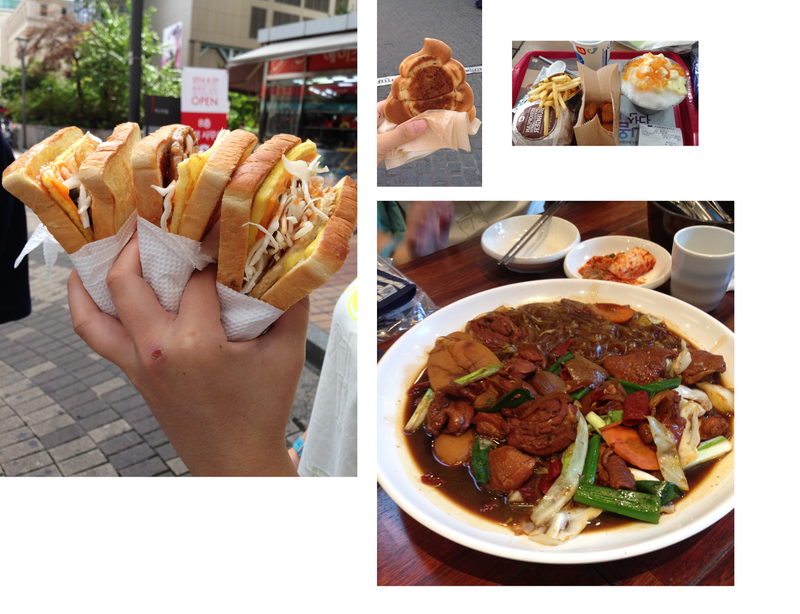 However, if you still want to go to N Seoul Tower, you can go there by Cable on Myeong-dong. For more informations, you can go to their official website! A paraside for shopping! I would say Myeong-dong remind me of Central. There are a lot of famous brands you can shop there. 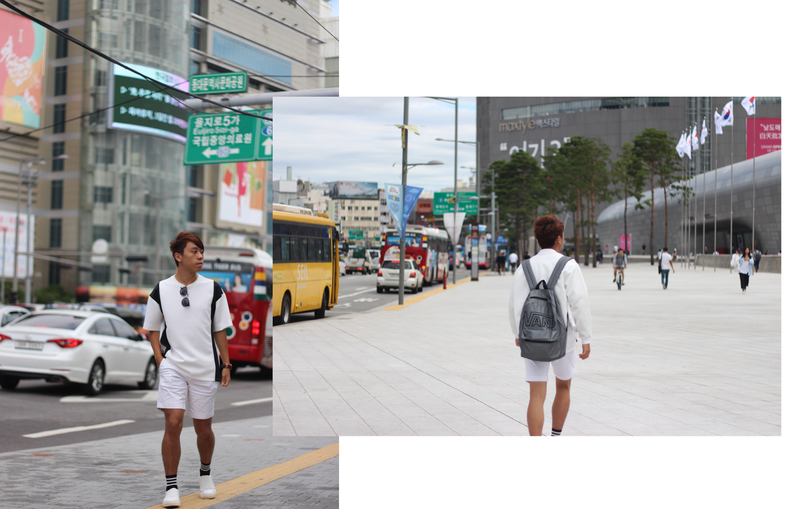 Aland, American Apparel, Spao are some of my favourite stores that I stopped by! And there are much more! I spent the night of the first day and the afternoon of last day there! 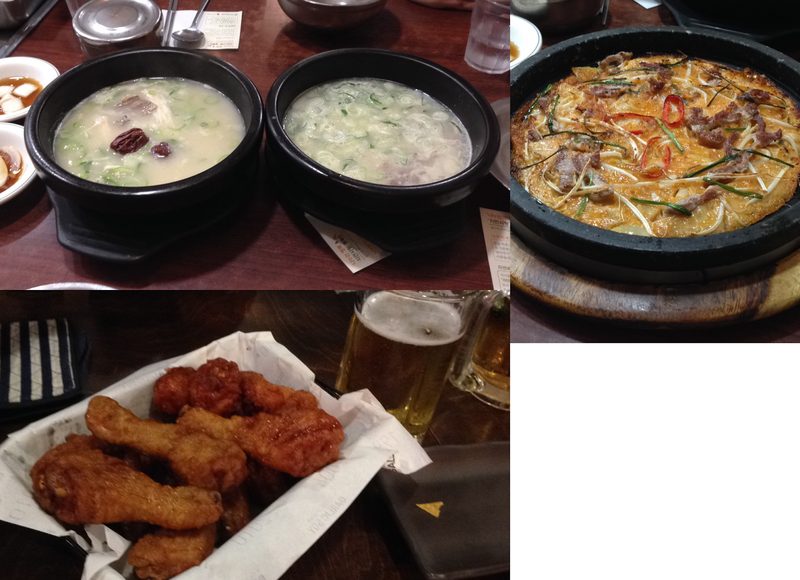 I'm a bit disappointed at Gyeongbukgung Palace because I expected more! I always tell me friends it can never be compared to the Grand Palace in Bangkok. I don't know why but I feel like all the things inside the Gyeongbukgung Palace are nearly identical. Perhaps that's the reason why I felt disappointed but of course you still need to go because it's a famous attraction! After visiting Gyeongbukgung Palace, you need to visit Bukchon Hanok Village because they're located quite near each other. 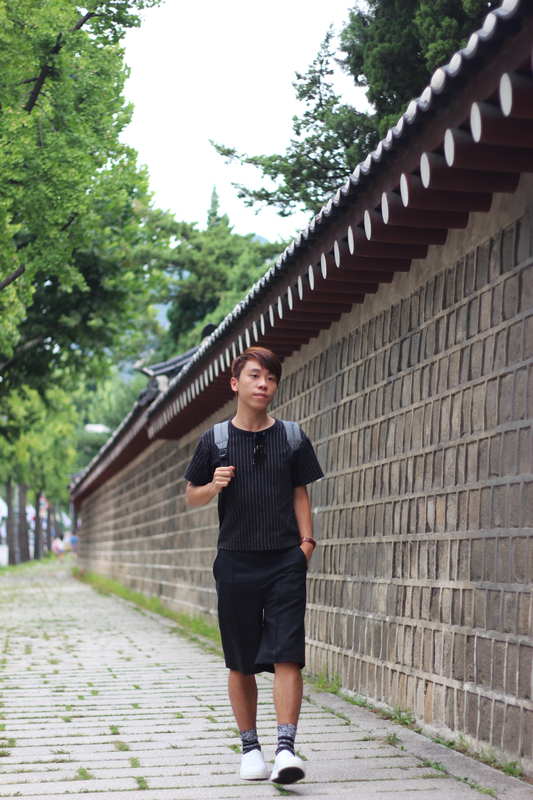 You have to walk from the subway station to Bukchon Hanok Village a few minutes. It's better for you to get a map! Because there are different places you can visit there! Unfortunately, I forget the exact location. It's located at somewhere near the station but I remember there is a few road signs. So it's not a big deal! 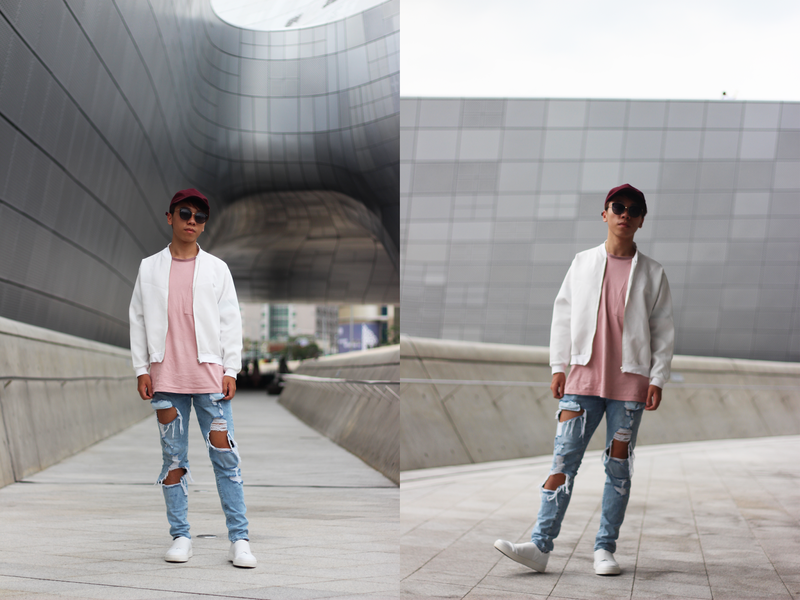 It's quite funny when people visit Ewha Womans University only for shooting purpose. I wonder if the students find those people annoying haha. Apart from taking beautiful pictures there, you can also shop there! Most of the clothing there are extremely cheap with nice quality in both Ewha Womans University and Hongik University Station. I bought a few things there. If you have any questions about Seoul, feel free to email me! I would love to answer your questions! 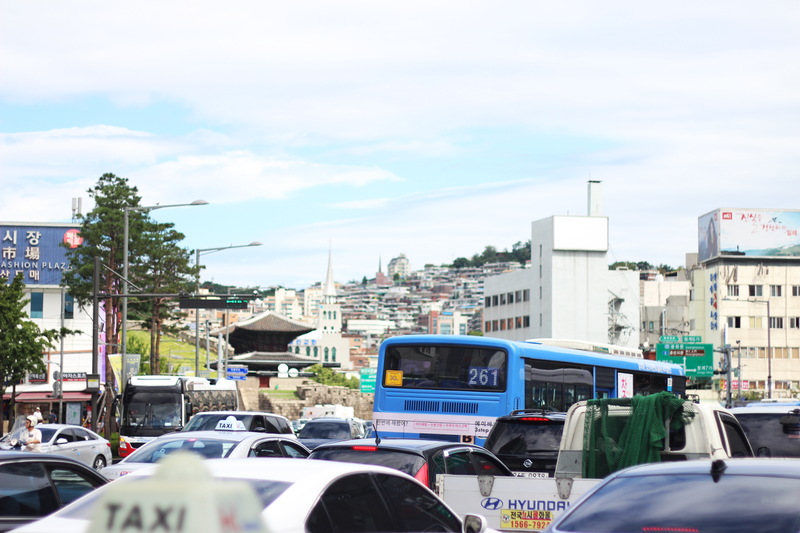 Hopefully these tips can help you a lot when you go to Seoul! I like the black and white shirt, very chic and the pinstripe shirt too, casual but still elegant! Love all the pics, and you look SO rad! So jealous of all your traveling! You've been to amazing places! 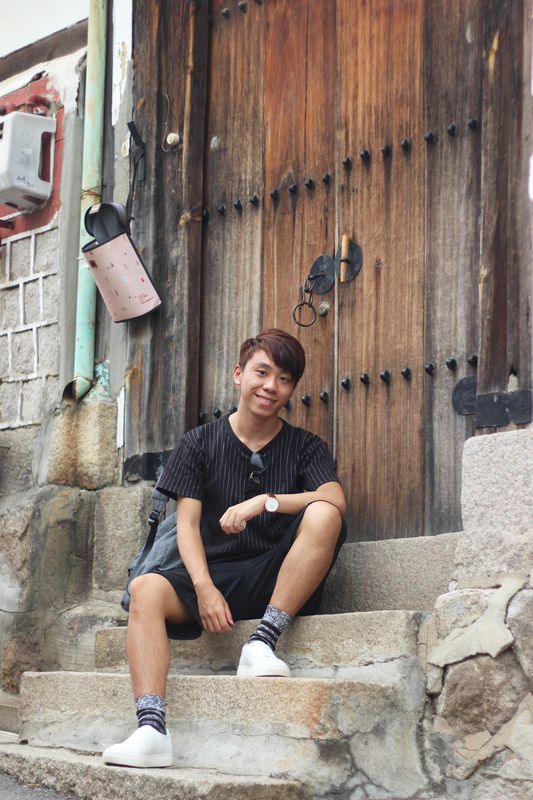 Thanks for sharing the places you went to in Seoul! Always with the best style! Remarkable! Wow, beautiful pictures! Love out your style, these outfits are so cool. The food looks absolutely amazing and I adore all your outfits, especially the denim distressed jeans and the all black look! Thanks so much for sharing and I hope you're having a great start to your week so far, Daniel! You always win at taking artsy photographs. 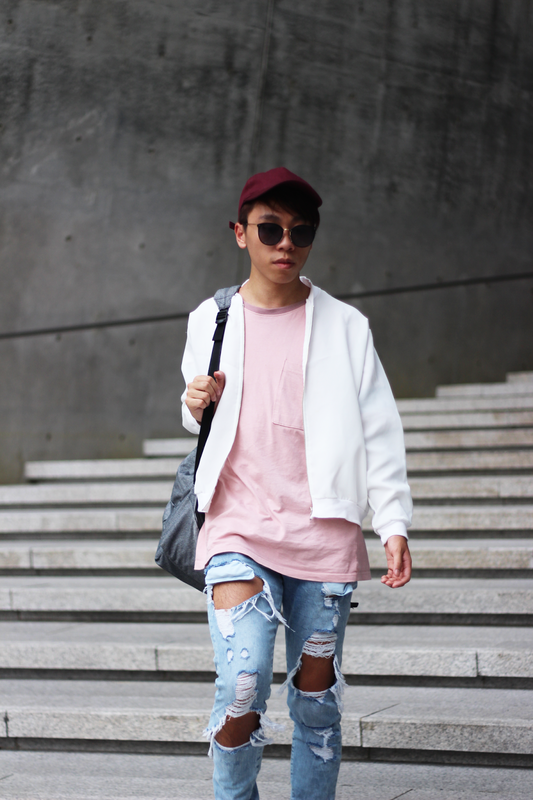 I absolutely love your ripped jeans + pink tee + white bomber ensemble - super stylish! 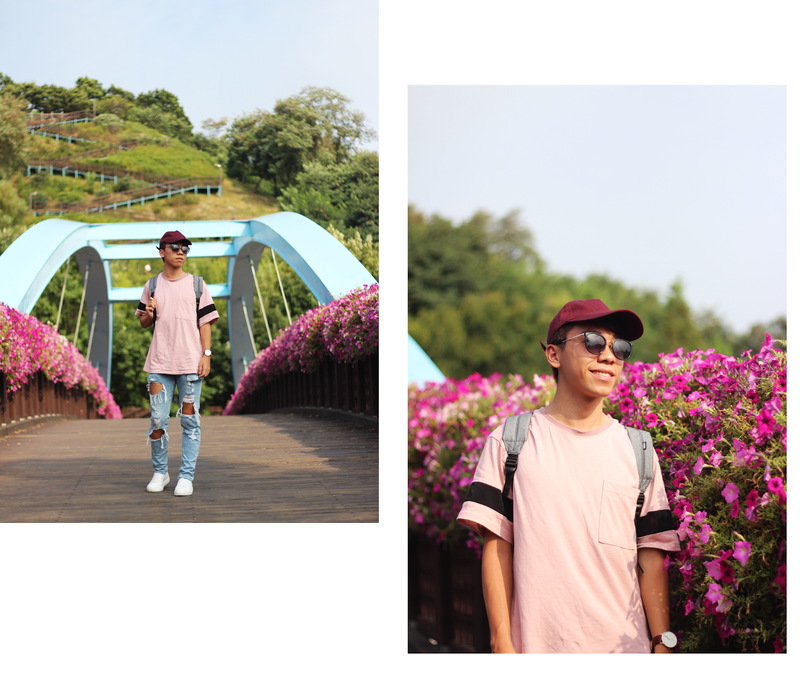 Loving your ootds! 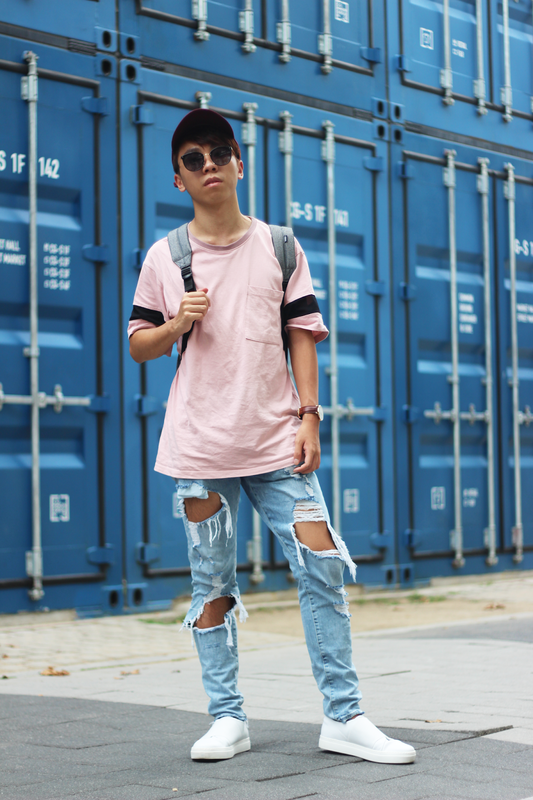 Your ripped jeans look so edgy too. 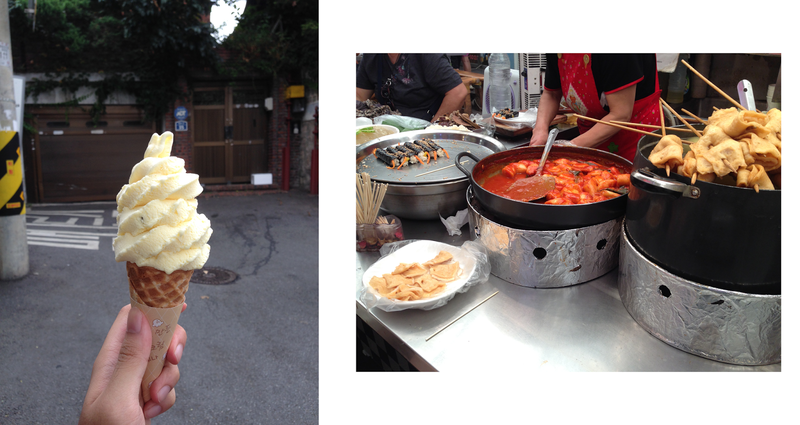 I have always wanted to visit Seoul, and your photos make me so convinced even more. :) I've been to Bangkok and Japan as well! And I enjoyed it! Hope to hear from you soon! Wow! I need to spend a day with you! Fabulous photos and eats! I love that all black look, so chic! I love your whole outfit set here! You have a very interesting blog! Can I advise you this article http://weedit.photos/2017/how-to-take-travel-photos/ I think it will be useful to you! Thanks for sharing, this is a fantastic post. Here is a blog - Photo editing & photography tips.